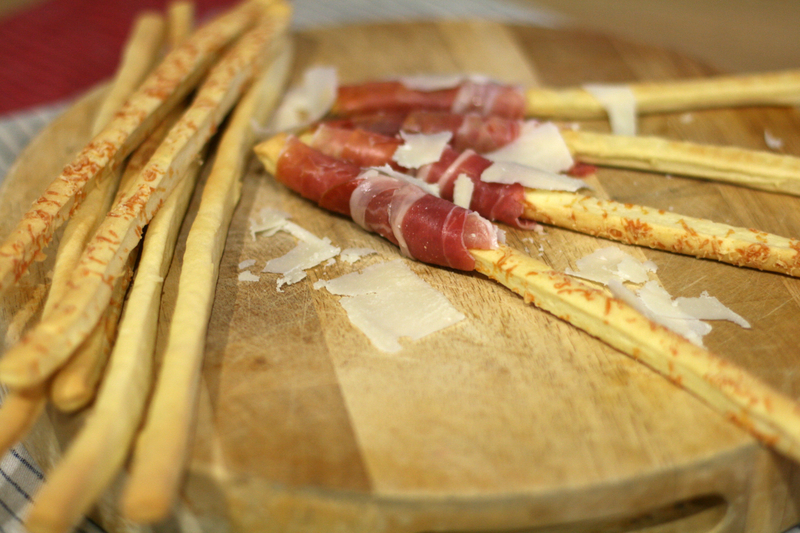 On my recent trip to Italy, my holiday equivalent to the above, my daily snack, my mid-afternoon pick-me-up, was breadsticks wrapped in prosciutto. So good, and much missed since my return. Our dry tasteless shop-bought breadsticks just do not match up to our Italian cousins efforts. 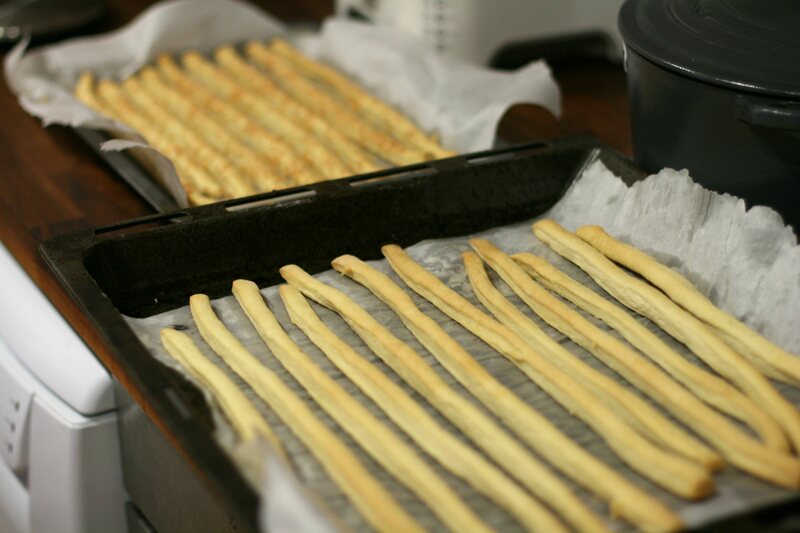 So when my cravings eventually got the better of me, I decided to make fresh breadsticks and recreate my holiday favourite at home. 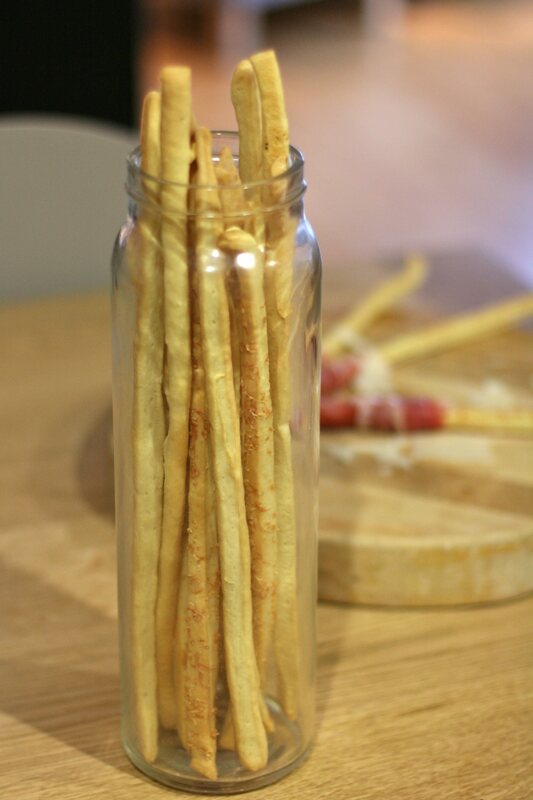 Now, you may be thinking that this is a lot of effort to make for what is supposed to be a “simple pleasure”, but honestly breadsticks are so easy and quick to make – and they keep pretty well in a spaghetti jar too, so you recreate that simple pleasure again and again. I for shiz did. Preheat the oven to 160°C/325°F/gas mark 3. Mix the yeast with the tepid milk and stir well to combine. Blend the remaining ingredients together in a bowl. Pour in the yeasted milk and use your fingers to incorporate everything evenly and bring to a dough. Turn onto a lightly floured surface and roll out to a thickness of 0.5cm. 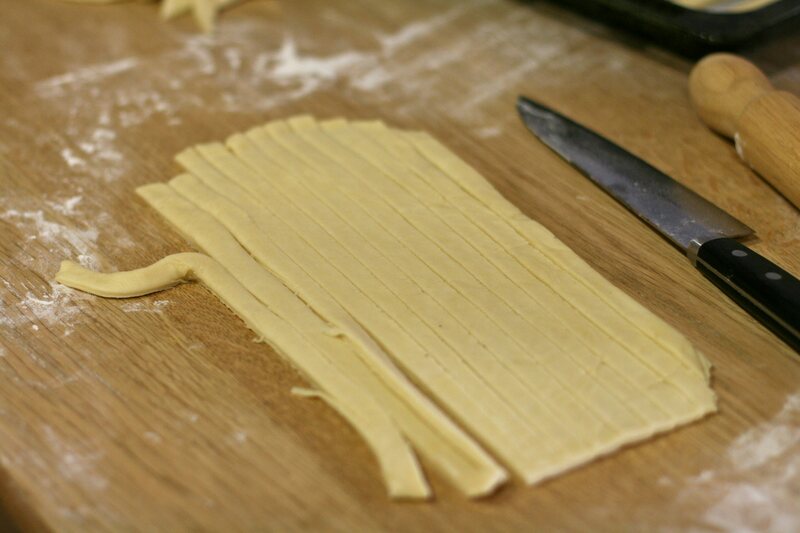 Cut into lengths about 30cm long and 1cm wide. Place on a greased baking sheet slightly apart. 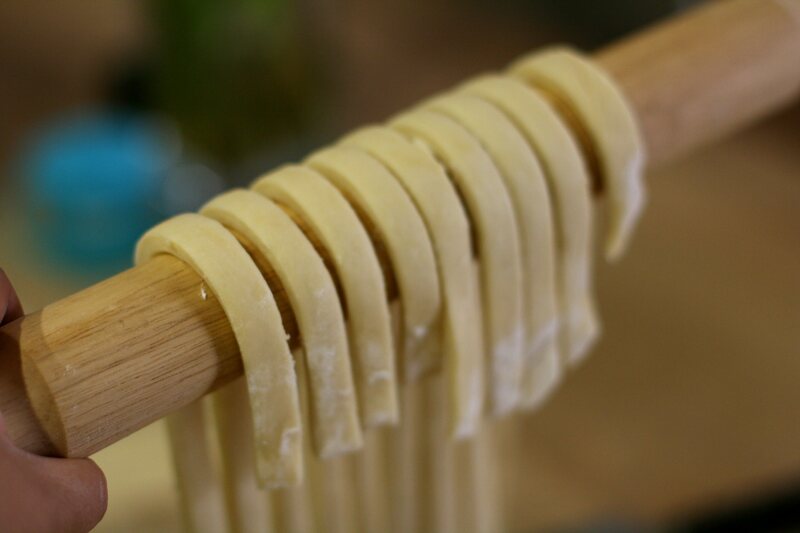 If you like, grate some Grana Padano cheese over all or some of your dough lengths to make cheesy breadsticks. Place in the oven and cook for 25–30 minutes or until a rich golden brown. Leave to cool and store in a tall airtight jar such as a spaghetti jar. They will keep for about a month. To serve, wrap each finger in a thin slice of fresh Prosciutto di San Daniele, and serve with fresh shavings of Grana Padano Cheese. This looks llike something i would like to try making today. Is there somewhere you know of that will help convert that recipe to american measurements? I love it! Thank you for this recipe! I cant wait! 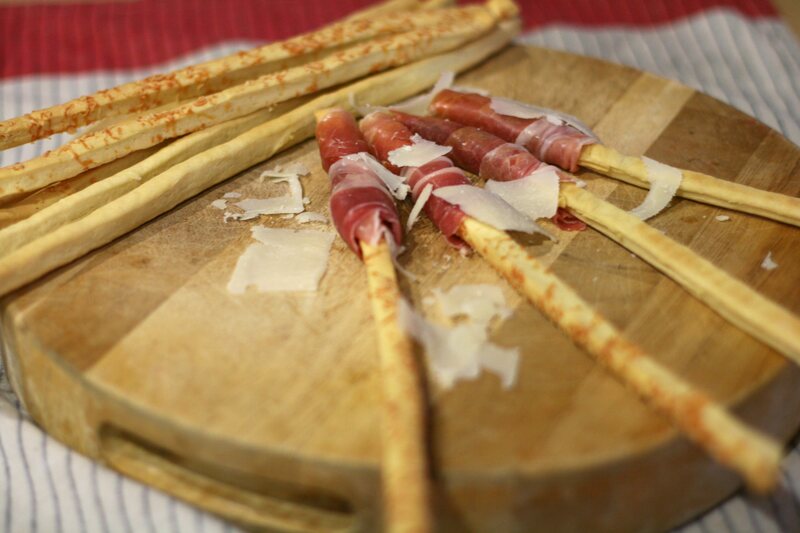 These Breadsticks wrapped with Prosciutto di San Daniele and Grana Padano Cheese are just delightful. I will be making my own version of this for a party I am hosting next week. Cheers!